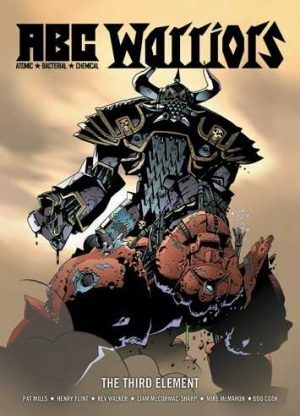 In 1978 Pat Mills tired of the limitations of the robot rescue squad Ro-Busters, so switched the emphasis of the strip to the Volgan War memoirs of lead character Hammerstein, already established as a decommissioned war droid. 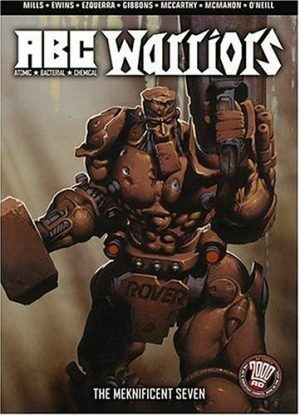 It provided a glimpse of the future, and when a planned all-robot anthology came to nothing some of the ideas Mills had been toying with found their way into a new 2000AD feature, ABC Warriors. 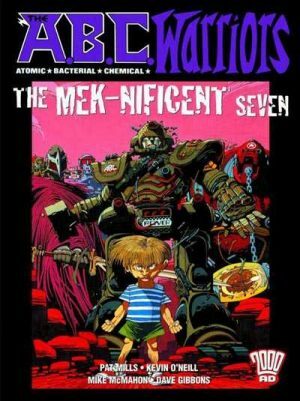 Both Mills and co-creator Kevin O’Neill have talked about how their vision for ABC Warriors was very different from what eventually emerged, and they would channel their original ideas into Nemesis the Warlock instead. While unintended and not the way it may have seemed at the time, that proved the best solution because it provided two very good series instead of one. 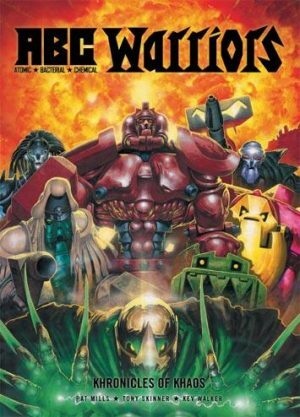 With the Volgon War ongoing, Hammerstein and robotic colleagues Joe Pineapples and Happy Shrapnel are removed from the conflict and tasked with gathering four other robots for purposes unknown. 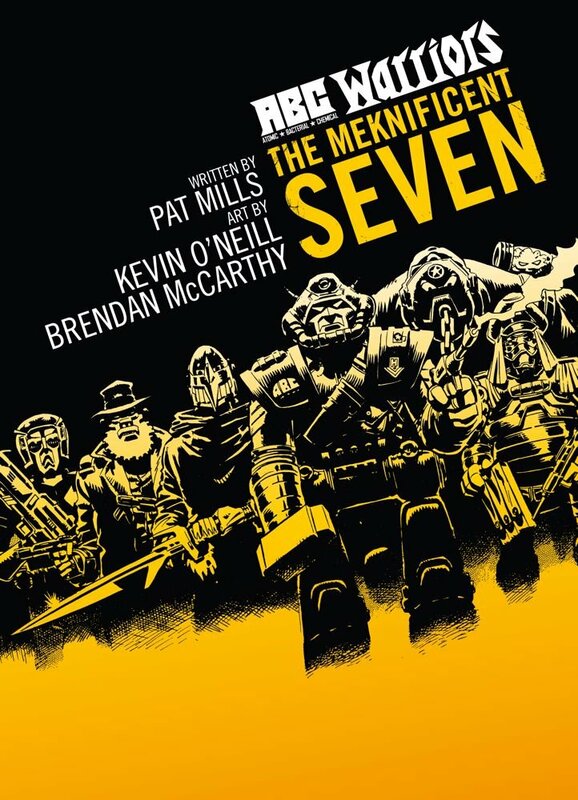 O’Neill’s designs for the other two robots are contrasting and superb, a steel cold sniper and a loopy variation on a whiskered Confederate soldier, and the same sort of inspiration is channelled by Mills as he creates the remainder of the team. 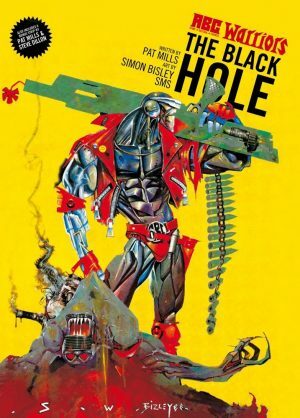 The work put in here would serve him well when the feature was revived in 1988 (see The Black Hole), as he institutes a moral ambivalence in General Blackblood, supposed reprogrammed from his Volgan days, and a definite agenda in mystical robot Deadlock. The near mindless Mongrol is a more traditional, although again brilliantly designed, and the team is rounded out with a character whose transformation is best experienced by reading. With O’Neill unable to complete the series as planned, numerous other artists with wildly differing styles were pulled in, a source of frustration for Mills as he constantly had to switch his approach to ensure each artist’s strengths were best represented. 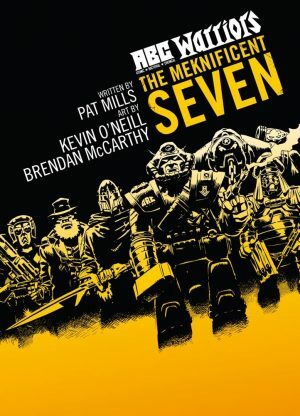 Brendan McCarthy and Mike McMahon provide the sample art, but it could equally have been Carlos Ezquerra and Dave Gibbons representing the book, with only Brett Ewins looking ordinary in comparison. 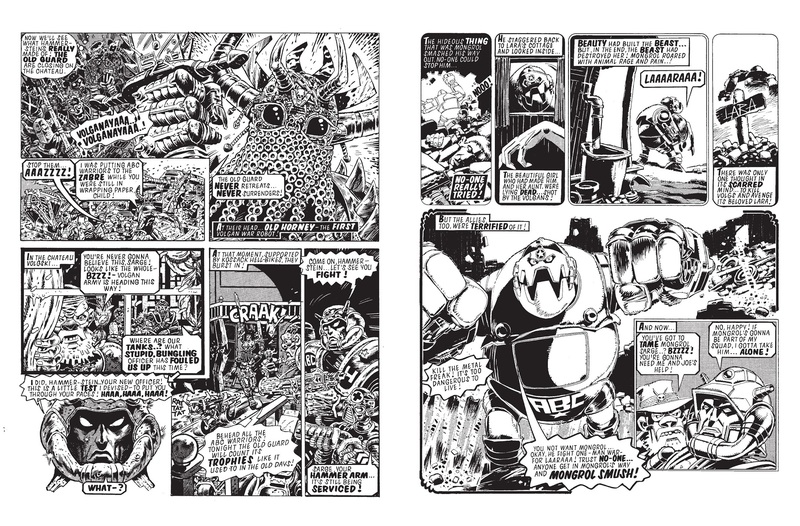 Mills produced stories in two or three chapter arcs, on topics as different as a Western starring sasquatches, one of them brilliantly drawn by Gibbons as a Teddy Boy, rampaging robot-controlled dinosaurs or the fate of a pacifist robot. The variety is brilliantly unpredictable, a joy as the tone switches from strip to strip, and Mills never short of a throwaway concept to enliven matters. 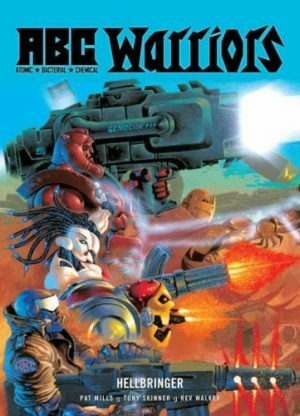 ABC Warriors would take a very different and far darker direction, but the sheer inventive joy of these stories remains. 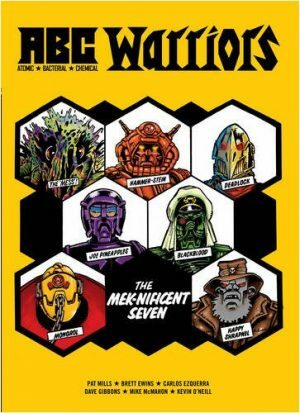 They were previously available in completely black and white editions with a hardcover option, published by Titan as Book One and Book Two, and have since been incorporated with The Black Hole into Mek Files 01.